Shirley Collins’s sweet, self-effacing singing keeps her closer to the core of traditional song than many a more histrionic singer. Yet her work has been extraordinarily diverse: she has collaborated with the guitarist Davy Graham, the Incredible String Band, the Albion Country Band and her sister Dolly. 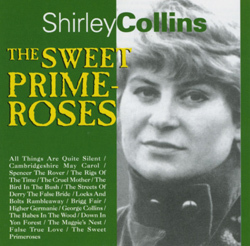 The limpid versions of Southern English songs on the 1965 The Sweet Primeroses album established Shirley Collins as a unique and influential voice on the folk scene.